Songwriters use time and sound to sculpt the air. “The painter has the canvas, the writer has the page and the filmmaker has the screen. In music, time is our canvas and sound is our brush.” “Sculpting Air” will show you how to use air (an old word for melody), lyrics, rhythm and harmony to move through time and connect with the listener in the invisible space where music lives. Creativity - finding your voice, getting un-stuck, raising your level, managing self-doubt. Structure - structuring your song, organizing your thoughts, creating the best form. Lyrics - theory, perspective, tools, techniques, use of language. Melody - guidelines for crafting melodies, managing contours, finding ideas. Theory - considerations for the songwriter, writing in styles, finding solutions. Process - brain-shifting, heart, starting points, hooks, grooves, clustering, song planning. Co-writing - pros and cons, how to approach co-writing, business. Production - be your own producer, basic gear, tips, process. Business - legalities, ethics, record deals, publishing, royalties, film/TV/internet. 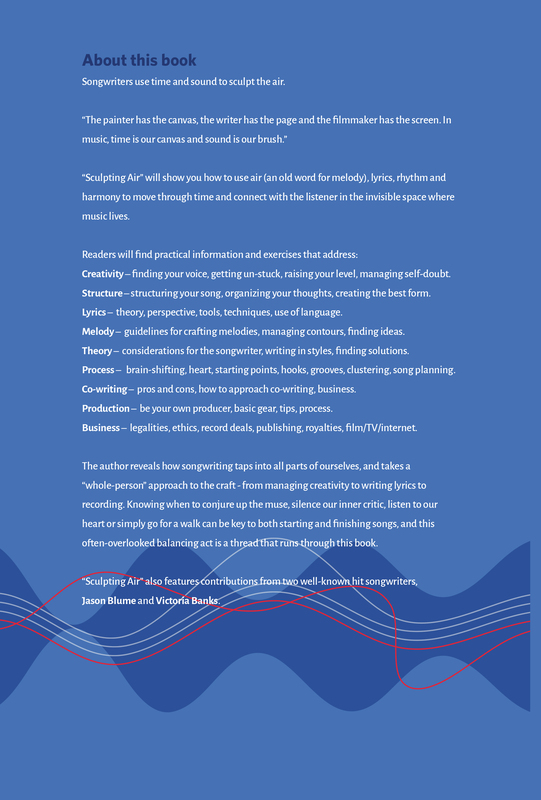 The author reveals how songwriting taps into all parts of ourselves, and takes a “whole-person” approach to the craft - from managing creativity to writing lyrics to recording. Knowing when to conjure up the muse, silence our inner critic, listen to our heart or simply go for a walk can be key to both starting and finishing songs, and this often-overlooked balancing act is a thread that runs through this book. 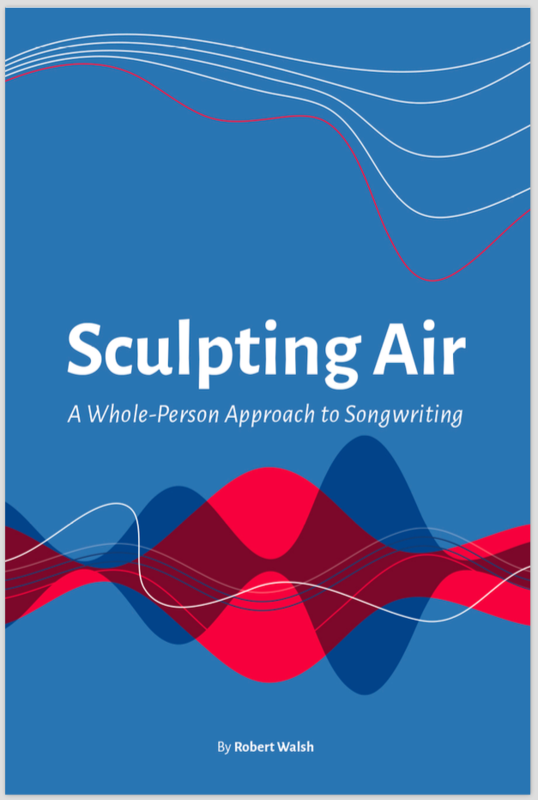 “Sculpting Air” also features contributions from two well-known hit songwriters, Jason Blume and Victoria Banks. In 2014, I released my book “Bob’s Book of Music Theory”. This book was created to make theory accessible to anyone – beginners or even professionals who need to fill in some knowledge gaps, and is filled with anecdotes from the musical trenches. It is available on Amazon. Enfin la version française du mon livre! Pourquoi la théorie? La réponse est simple : nous sommes attirés par la musique parce qu'il y a quelque chose de magique et de mystérieux. Et comme magiciens de la musique, plus de connaissances nous possédons, plus profond sera le mystère. 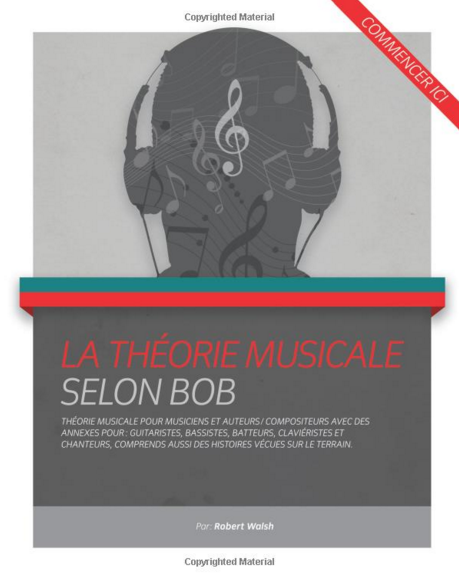 Donc, si vous êtes intrigués par la musique et que vous désirez en savoir plus, j’ai écrit ce livre pour vous! In 2009, Forbidden Phoenix - book and lyrics by Marty Chan, lyrics and music by Robert Walsh - was published by Playwrights Press in Toronto. For more information, click here.